Order your Seymour Duncan 7-String Pegasus Sentient Black Pickup Set from AMS and enjoy 0% Interest Payment Plans, Free Shipping, Free Extended Warranty & 45 Day Money Back Guarantee. 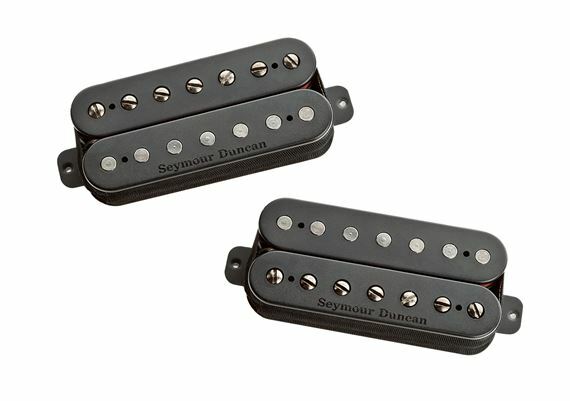 With the rise of Progressive Metal, Seymour Duncan wanted to voice a new bridge pickup specifically for 7 and 8 string players that would evenly accentuate every note on the fretboard no matter how much gain was cranked up. The Pegasus uses an alnico 5 magnet and has custom designed coils for a balanced tone and moderate output. Huge chords and complex arpeggios are equally perfect.